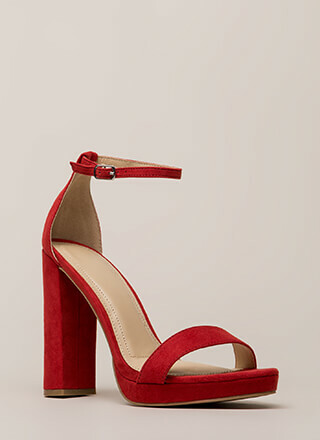 These lace-up heels will tie your whole look together... Chunky, open-toe heels feature slim crisscrossing straps throughout, including long self-tie ankle straps, which create a cut-out, caged, lace-up look. 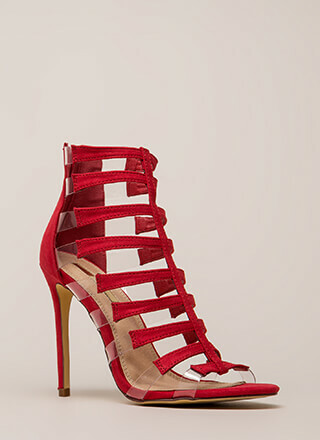 Shoes are finished with an exposed heel, a ridged sole, and no additional closures. Pattern placement may vary.